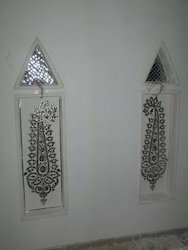 We are manufacture for glass inaly work.we are doing this work require size amking making on order. we have collection for wall hanging, dome, ohoto frame, mirrow frame etc. We are a well-renowned organization in the industry to provide our patrons the best quality array of Thikri Glass Drawer Table. By skilled craftsman. All sizes available. We undertake all types of Inlay works in Stainless steel (SS) Brass and Glass. Inlay gives an beautiful look to the marble flooring. We have earned an reputation of reliable and trusted designers and Inlay contractors. 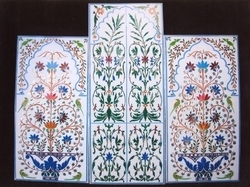 Leading Manufacturer & Exporter of Glass inlay furniture, Ceiling Work, Glass Inlay Peacock Work, handicraft items, Thikri Work, Planter, Temples, Window, Door, Telephone Stand & packaging boxes items from India.